Proper wine storage requires several conditions that must be met and maintained for quite a period of time for wine to age properly. When choosing a wine cooling system, there are a couple of things you must know about proper wine storage. At the top of the list is keeping the temperature constant. The ideal level for storing wine is 55 degrees Fahrenheit. It can be slightly lower or slightly higher, but the fluctuations should not exceed 2 degrees Fahrenheit. Aside from this, humidity must be kept at ideal levels (50%-70%) as well. Other factors to consider include the room size, the location, and the insulation of your wine cellar. The most important feature of wine cellars is the wine cooling system. It is crucial to have a wine cellar that is built to last. This can be achieved if the wine cooling system installed in it is efficient and functional, allowing it to have optimal control over temperature and humidity. It should also operate quietly and smoothly, because vibration is known to affect the aging process of the wine. 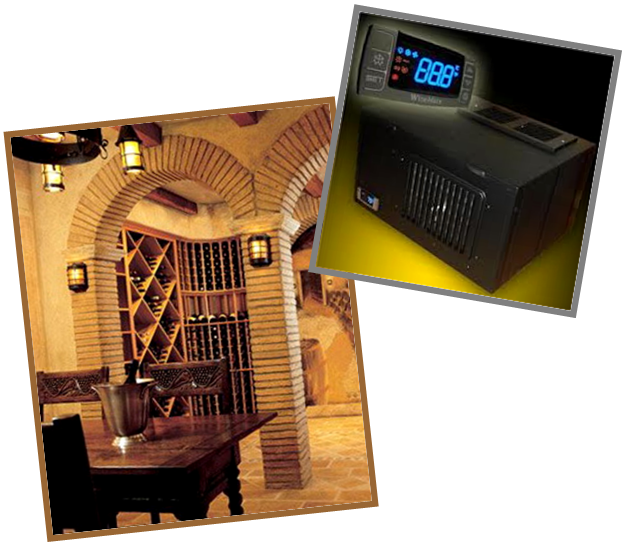 Aesthetics play a key role when choosing a wine cellar cooling system. If you’ve invested enough time and money in deciding what kind of wine rack to use, then the same care must be poured into browsing through wine cooling systems. It has to look attractive, but at the same time, it must be user-friendly and easy to install. Additionally, it must blend in well with the look and feel of your wine cellar. Scrutinize the temperature and humidity controls and how they are operated. See if these fits your needs as a wine collector. Look at the cooling method used as well, because not all wine cooling systems use the same technology. Some wine cooling devices use compressor systems, while others use thermoelectric systems. The space you have or are planning to have for your wine cellar is the determining factor in choosing the size and type of your wine cooling unit. It will also depend on your wine racking system- whether you have one that occupies most of the space or if there is still room for a wine cooling system to be installed. For this, you must know that some wine refrigeration systems can be mounted on the wall or installed on an exterior wall. These are called through-the-wall cooling systems. Still others have condensers that can be placed outside of the wine storage room, which gives you more space. These are called ductless-split wine cellar cooling systems. Another type of wine cellar refrigeration is one that can be installed with no trace of the unit visible in the cellar. This is called the ducted wine cooling system that allows cooled air to be ducted to and from the wine cellar space. This is ideal for those who do not have a lot of room to spare in their Florida custom wine cellar. If you want to ensure protection for your wine collection, it would be a wise idea to start investing in a quality wine cellar refrigeration system. Know its quality, design, features, size, and type, and find one that matches your budget, considerations, and requirements. Wine Cellar International is a Florida wine cellar builder that is passionate about storing wine and displaying them with aesthetic appeal. They have constructed custom wine rooms installed with efficient wine cooling systems. 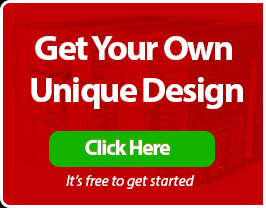 Visit their website at http://www.winecellarinternational.com/ or click here to request a free wine cellar design and quote.